Starbucks Ice-Cream has finally arrived in Malaysia with ice-cream bars and ice-cream cups. The flavor available for the ice-cream bars are Mocha Ice Cream Bar and Coffee Ice Cream Bar. While Java Chip Frappuccino Ice Cream is available for the cup version. Starbucks Mocha Ice Cream Bar is a satisfying indulgence from start to finish. The Mocha Bar combines both coffee and chocolate and is rich and creamy which reminds me of Mocha Frappuccino drink. While the Coffee Bar is as delectable with stronger coffee flavor and aroma. Starbucks Java Chip Frappuccino Ice Cream Cup is another perfect treat. It is creamy with chocolate chunks. Currently, Starbucks Ice Cream are available from Cold Storage supermarkets at RM 8.99 each. Today, March 23 is Free Pastry Day at Starbucks. 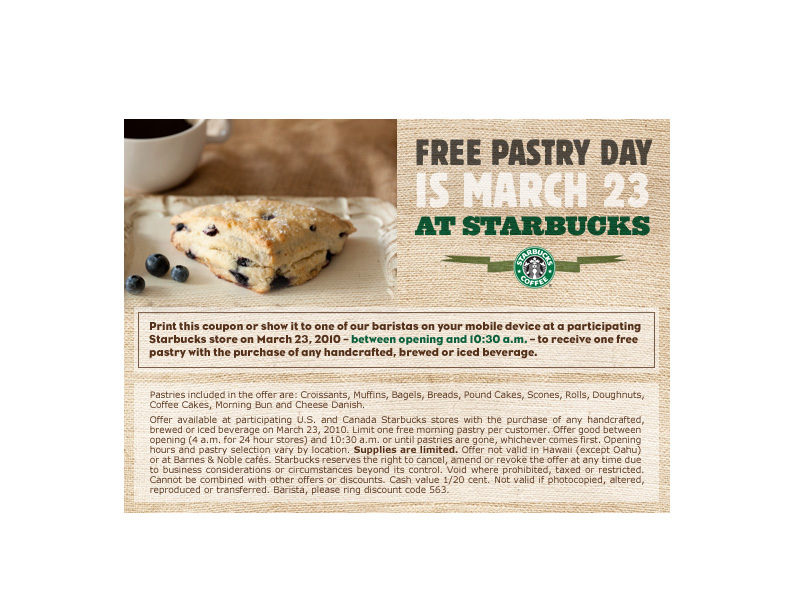 Get a free pastry on the morning of March 23 with the purchase of a handcrafted beverage. However, Free Pastry Day ends at 10:30 am, so hurry up! You must print this coupon in order to get the free pastry. Boss Coffee Rainbow Mountain Blend is another RTD coffee product from Suntory. Unlike its name, the drink is nothing near colorful, or taste that way. It is quite ordinary for a start and the price is a bit hefty at RM 6.90. It claims that the coffee is Guatemalan Coffee, somehow there is nothing distinguish about the coffee except the packaging.